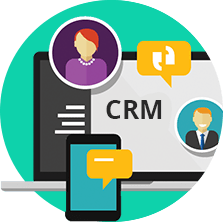 CRM stands for Customer Relationship Management, which is a system that business processes can implement to measure and track its sales activities. This could mean information like how many leads, prospects, and customers are there in your company’s database, along with information about them, like their names, email addresses, phone numbers, their purchase history, and others. CRM system also helps in tracking how frequently your sales team gets in contact with your prospective leads and customers, and what those conversations were about. With the help of these metrics found in CRM, your customer relationship manager can also set up custom reporting plan to find out how efficient your sales department is performing every day. Most of the customer relationship management systems are extremely customizable, so the parameters that you can measure and analyze with the help of a CRM management are quite expansive. Here is a fantastic list of CRM tools that integrate and augment existing CRMs. So briefly, when someone asks what is a CRM system, it refers to a methodology, software and Internet capabilities that help companies to manage and strategize their customer relations with potential and current customers. There are many departments within a business organization, which uses CRM database software for providing a complete 360-degree view of the customer’s history. However, it is important to understand before understanding the definition of CRM that any CRM software is as good as the data it receives and stores within its database. 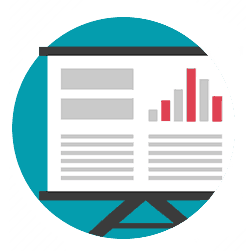 The sales team of an organization uses CRM software to record sales opportunities and contacts. In most cases, CRM system prompts or reminds the sales reps to follow up on a lead or activity. Sales Managers also use this platform for studying and monitoring where a contact is in the buyer’s journey and subsequently watch their progress in closing. 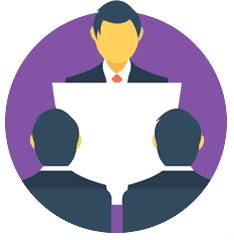 With CRM Sales Managers can find greater visibility into held up deals and find ways and means to move them along. Marketing personals also exploit CRM and marketing automation software to use its contact database to better promote the organization’s products and services. 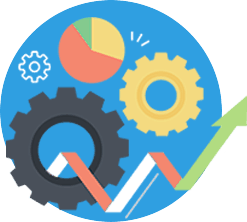 Information found in the CRM system provides unparalleled insight into market dynamics to find where the company reaped success or requires improvements. Marketing CRM uses automation feature of this application for lead scoring and email follow-ups with prospective leads and customers, freeing up a considerable amount of time away from these manual processes. Using CRM a marketing professional will find more time for focusing on new creative business development ideas than wasting time in lookout of prospects. Another important benefit of CRM implementation in businesses is that it is an excellent tool for providing post-sales support to the customers, which enhances the Customer Experience (CX) among the users of the products and services of the company. CRM platforms those that include e-Commerce capabilities, allow customers to place orders and provide the company’s customer service department an early heads-up, once any customer lands up with an issue. This quick response potentiality of CRM application reduces the chances of the buyers to go elsewhere. Here is a visual representation of how CRM for Small Business can help grow small enterprises. Different types of CRM are there in the market to support your business requirements in varied ways. Hence, while choosing the ideal CRM that your company requires focus on your objectives and look into the most important customer management problem that you need to resolve. A good CRM system means a platform that allows you to concentrate on selling while keeping your customers happy. 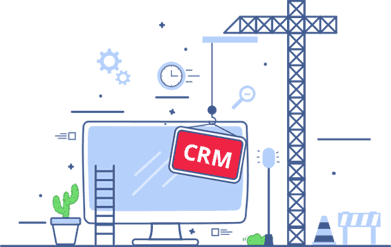 Therefore, if you are interested in implementing a CRM for the first time or switch to a better CRM to suit your needs, here is the list of the types of CRM available for your consideration. The basic goal of any CRM system is to automate and integrate sales, marketing, and customer support activities. CRM systems typically have a dashboard, which provides an overall view of these 3 functions of a customer on a single page, summarizing all of the relationships between the customer and the company. 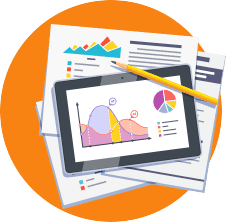 The role of Analytical CRM is to analyze the customer data, which are collected from several sources and make more informed decisions by using techniques like pattern recognition, data mining, and correlation. The collaborative task of a CRM system is to share customer information across the organization and among external shareholders (like distributors, vendors, and suppliers), providing directions for marketing of product and services related to the brand. Do you need Desktop, Server, or Cloud based CRM? 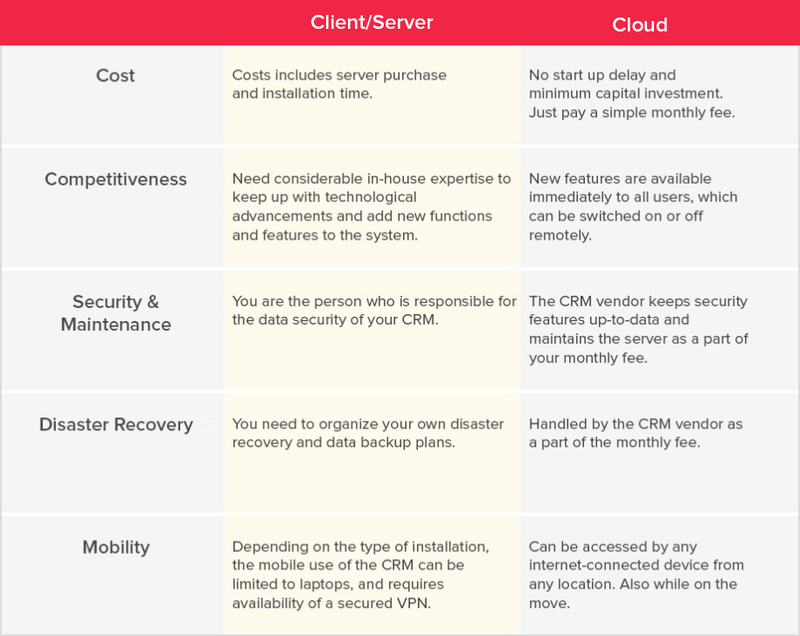 Be it Client-based, Server-based or on Cloud, here is a diagrammatic comparative illustration of different ways you can run CRM, which depends on the requirement of your organization. CRM starts creating value and works for your business, the very moment you enter your first lead. One most pertinent thing about using this platform is to ensure that all the leads are processed through your CRM platform. 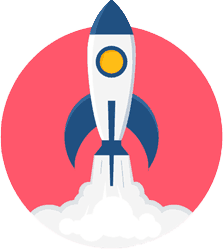 This will guarantee that your sales, marketing, and customer support team will adopt the new business solution quickly so that you start earning the return on your investments right away. As the sales process becomes much more transparent and visible when you use a CRM to track it, so CRM helps in finding where the bottlenecks are, as you can easily see which reps are following the process and who are not abiding by the rules. The sales pipeline visibility of a CRM helps in understanding whether your business has an adequate number of leads and deals in the sales process that are required for meeting your cash flow needs and/or your required revenue goals, within few munities after installation and implementation of the CRM software. 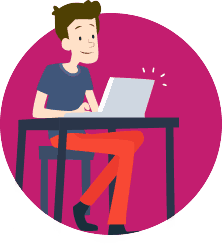 Correctly implementing a CRM platform for the first time can really be a daunting task. Primarily one need to hunt down and compile all the existing contact data in a .CVS file, for which most CRM is going to provide you with elaborate guidance as to how you can create your .CSV file. After you have completed the task and is ready to go, you will be next guided how to begin the import process. All good CRMs have a relatively easy process for importing and mapping all your contacts. Finally, once the contacts have been imported into the CRM system, you need to learn how you can create your custom emails, set up email campaigns and follow-ups, learn to group your customers into segments, create sales pipeline stages and much more. How to avoid mismanagement of a CRM? CRM software is designed to manage customer data, but customer relationship management definition of this application forbids you to use this software platform for purposes outside its operational periphery, which can reduce the overall usefulness of the system. #1. Do not make your CRM manage inventory or generate invoices unless you have the appropriate third party software, which is efficient in the processes integrated into your CRM. #2. Do not encourage people to work with leads and/or deals outside the CRM system. For allowing this practice will delay the adoption time of the system. #3. You can attach documents or emails associated with a sales opportunity to the CRM system’s records, but do not use them for project management or R&D designs. Now that you know what is customer relationship management, it can be easily understood that CRM is a platform that works as an organization’s memory bank, regardless of the size of its businesses. 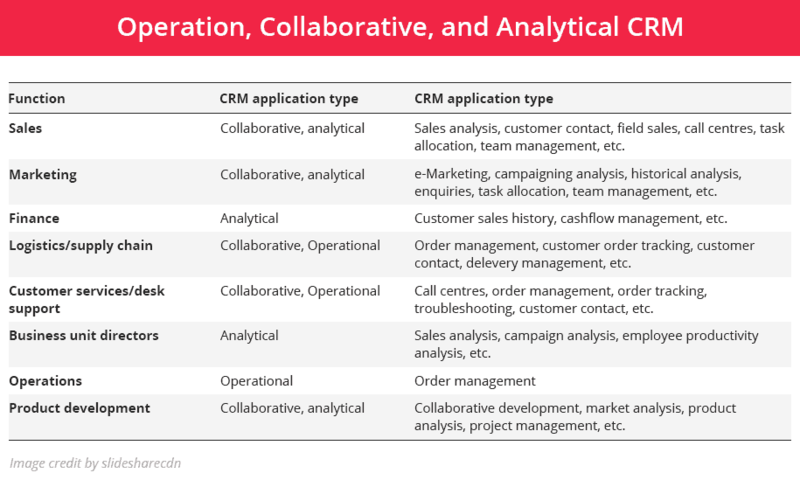 In large enterprises, CRM system definition illustrates a tool to collaborate and coordinate, when a global team is assigned to a single or more than one customer or deals. Many big organizations even implement this system as a way to install method and discipline in its sales force. built-in-efficiencies is another most valuable aspect of a CRM, which is often taken into consideration by small businesses.